Guns, Swords and Burly Men for everyone! After a small leak revealed November's PlayStation Plus lineup, Sony has finally confirmed the games we'll be getting this month. Headlining November's lineup is Yakuza Kiwami and Bulletstorm: Full Clip Edition for the PlayStation 4. 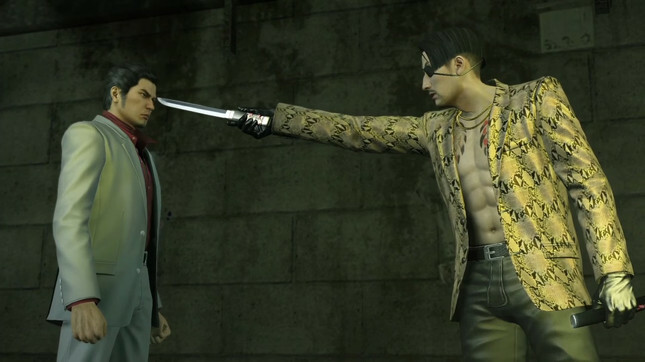 I'm still yet to check out any of the Yakuza titles, despite numerous friends hounding me to play it. I guess I now have the perfect excuse to jump in and see what all the fuss is about. The other free games for the month are Jackbox Party Pack 2 and Arkedo Series for the PlayStation 3 and Burly Men at Sea and Roundabout for the PlayStation Vita. Check out some footage for November's PS4 games below! What do you think of this months offerings? Should I listen to my pals and spend some time with Yakuza?